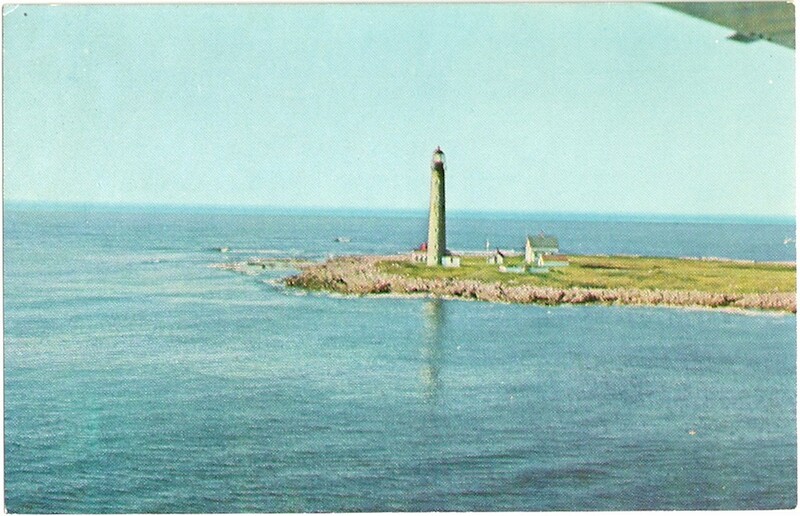 Unused, divided back, chrome postcard featuring Petit Manan Light. 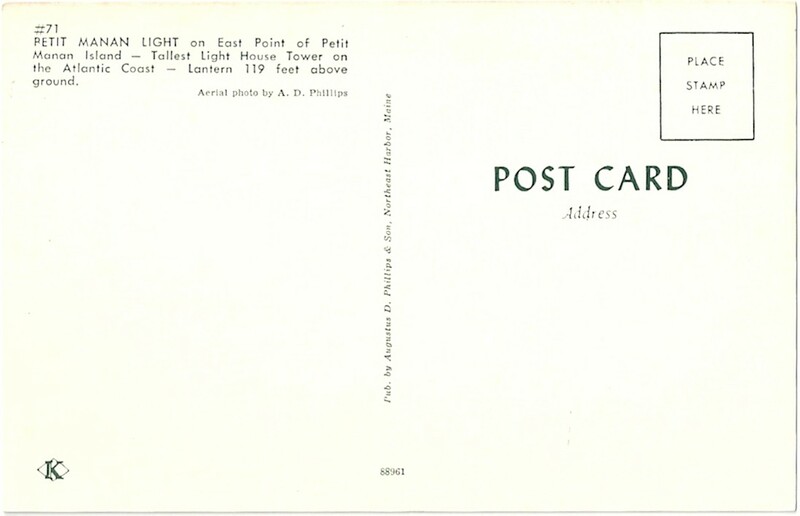 The number #71 appears above the caption and 88961 appears along the bottom side, center, of the address side. 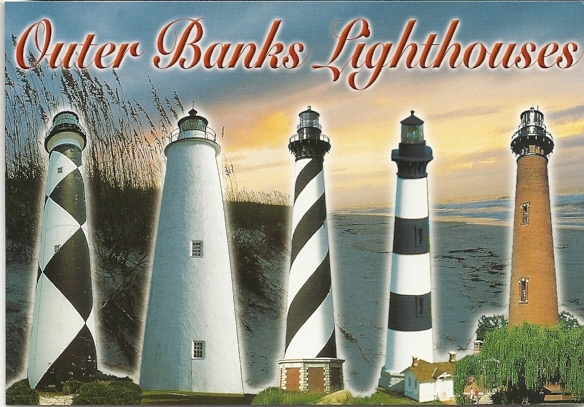 CAPTION: PETIT MANAN LIGHT on East Point of Petit Manan Island - Tallest Light House Tower on the Atlantic Coast - Lantern 119 feet above ground. Pub. by Augustus D. Phillips & Son, Northeast Harbor, Maine.